Samsung has been releasing quite a number of smartphones in the recent past, however, the most eye-catching ones are the flagships. Samsung Galaxy S7 and Galaxy S7 Edge have both impressed right from the word go. The two, especially the latter, have been very fundamental in the success the company realized in the past quarter. Now, to ensure that even more of these new Samsung Galaxy handsets are being bought, the South Korean tech giant has a great deal in place, but as usual with great deals, there is a catch. Up until June 19, buying any of the new Samsung Galaxy smartphones will land you a free Samsung Gear VR headset. This shouldn’t be a new thing for Samsung lovers as a similar deal showed up sometimes earlier when the Galaxy S7 and S7 Edge launched. While the initial deal only took into account the two 2016 flagships, the latest deal includes last year’s flagships – Samsung Galaxy S6, S6 Edge, S6 Edge+ as well as Galaxy Note 5. To be eligible for this promotion, you will be required to buy any of these new phones or lease them from a partnering retailer, for instance, Walmart, Best Buy, AT&T, Verizon, T-Mobile, and Sprint, among others. This purchase should take place between now and June 19 and make sure that you complete the offer claim form before June 30. The deal will also include an Oculus content bundle that is currently not specified. If you are curious about how VR works and are still in the market for a new smartphone, why not try out a new Samsung Galaxy S6, Note 5 or even S7 Edge and get a new Samsung Gear VR headset to go along with it? This is a great deal as usually, the Gear VR headset costs no less than $100. Of course, it costs this much because it is nowhere near what you get with the likes of HTC Vive or Oculus Rift, but it is a better deal than the Google Cardboard. 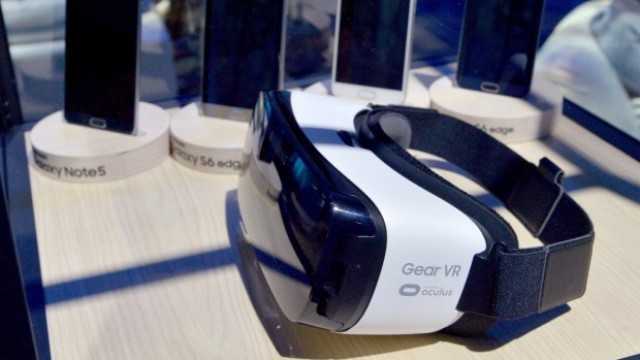 You can check out this link for more details about how to get yourself a new Samsung Gear VR headset alongside a new Samsung Galaxy phone. Remember, the deal ends on June 19, so hurry while it still lasts. Next Next post: Samsung Galaxy Note 6/7 Launch News Reports – Is Samsung Skipping a Digit?